Note: I pretty much reposted everything from the old CW information section here (except the goodies), because it says everything I want to say. So none of the following is new, unless you've never read it. 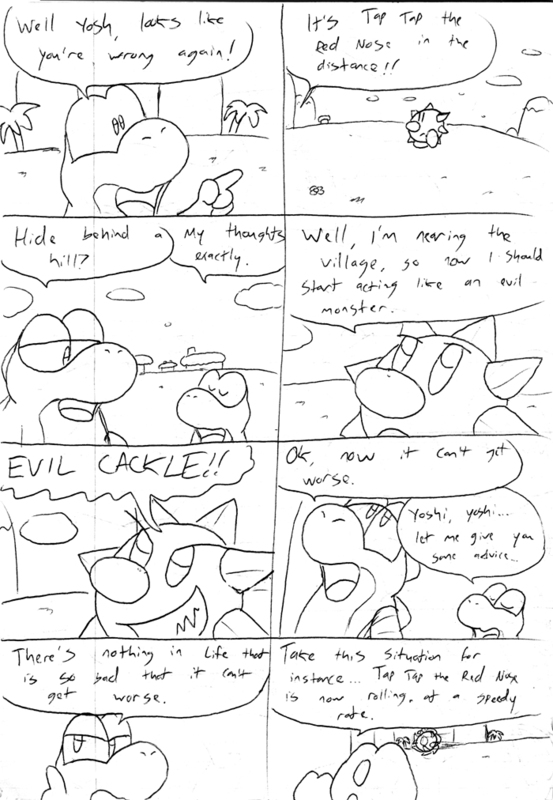 As a side note, Yoshi's Island DS was lacking so it didn't help this series any. Super Mario World 2: Yoshi's Island... one of the SNES classics that everyone should or should have played, along with Donkey Kong Country, Kirby Super Star (though I personally think Super Star is overrated and prefer Dream Land 3), Super Mario World, among many others, and yes I'm gonna say it, EarthBound too. 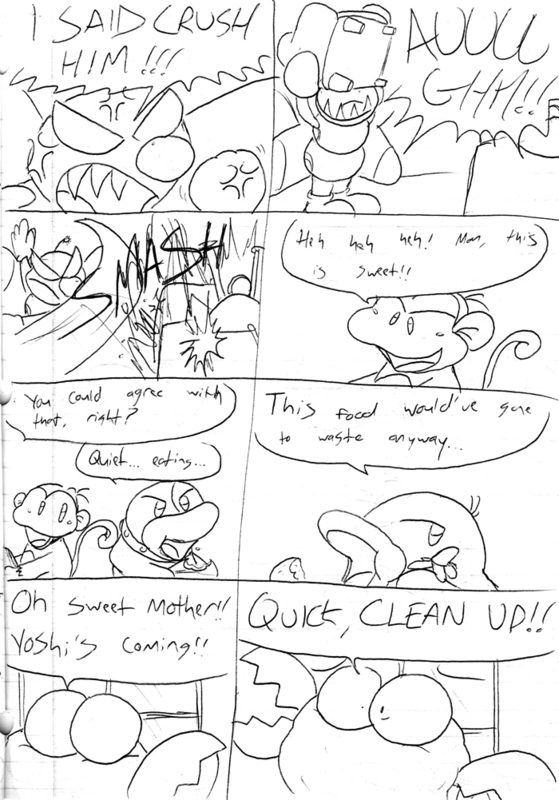 In fact, I really wanted YI, but my dad insisted we get DKC, just so he could play it. I don't regret that because eventually I got YI anyway and DKC is great. 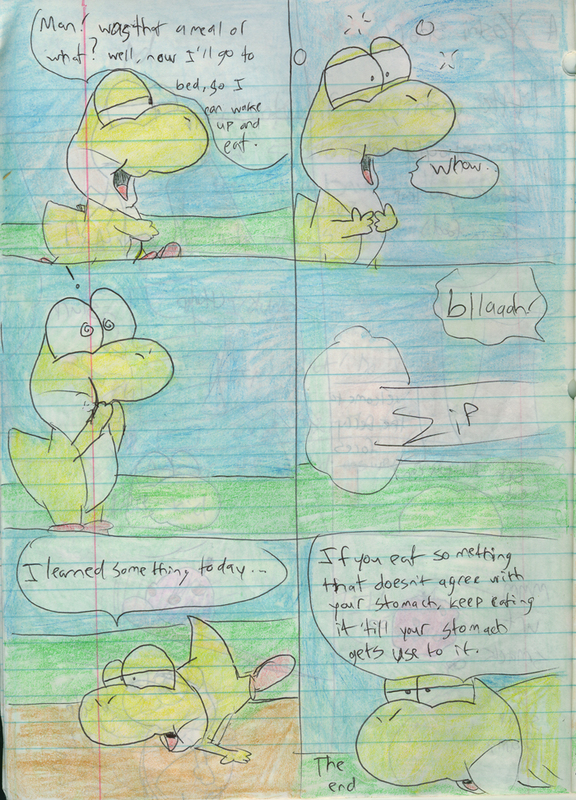 Anyway, though, that game, good as it was, wasn't what did me in as a Yoshi fan. 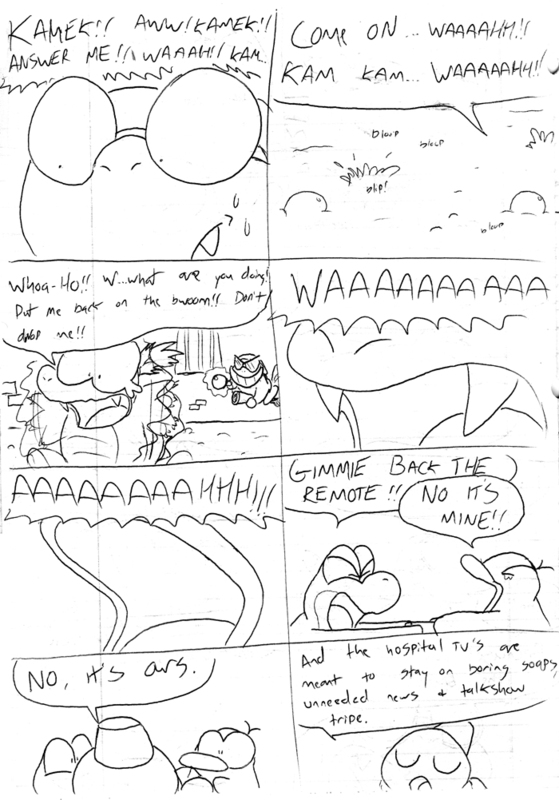 It gave him a lot more character than the stereotypical dinosaur he sorta was in SMW, but still. I was on vacation visiting cousins in California, and they happened to have a game called Tetris Attack. 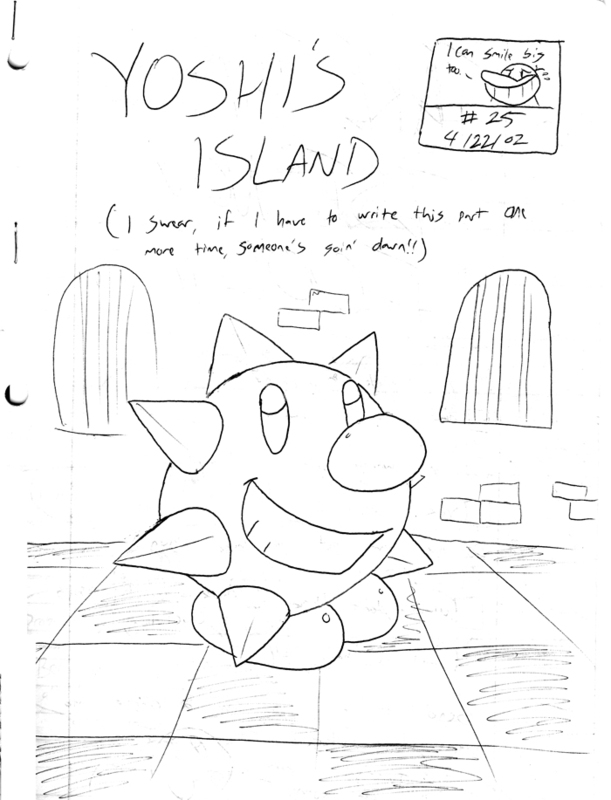 Now, I read about this in a magazine (that I probably still have) were I think it still shows it in it's original Panel de Pon form. Not caring a thing about girly faeries I shrugged it off (to think that's probably what many people did), but it did mention that it'd be getting a Mario facelift. That didn't make it more exciting. I hate Tetris and Mario doesn't make everything better (actually he kinda does but that's another subject). Back to the matter at hand, so I looked at my cousin play it, and I was like "this game looks familiar". I recognized the rainbow bridge in the overworld, but obviously Lip was missing. Anyway, I wanted to give the game a try. I was instantly pulled into the mechanics of the game, this was NO Tetris! 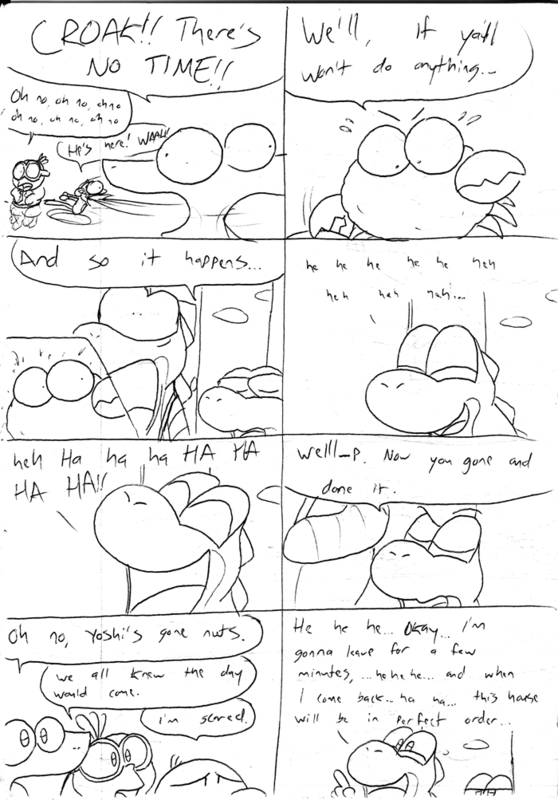 And then the audio, the visual, and heck, Yoshi sans Mario! 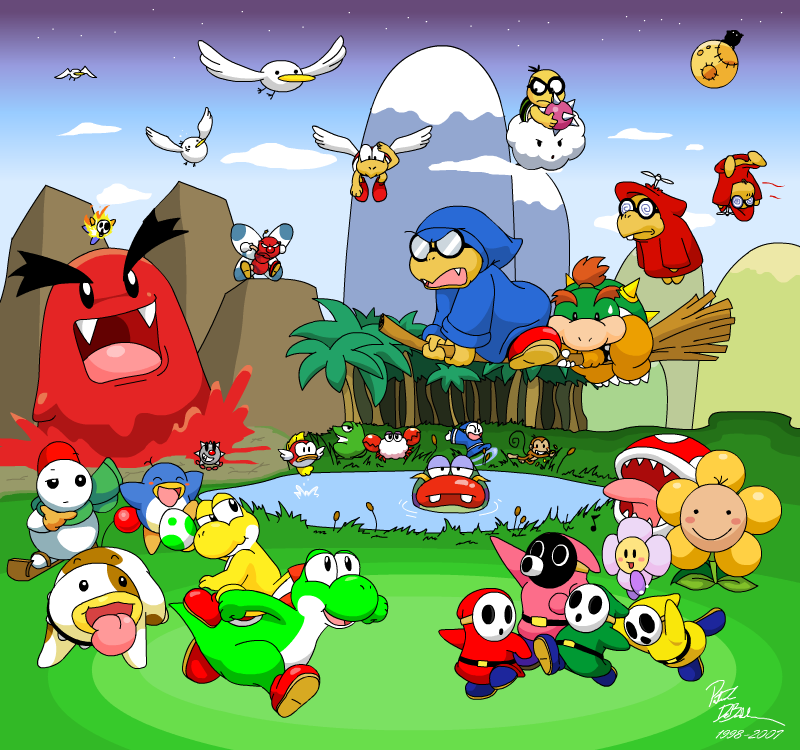 All the characters I loved seeing in Yoshi's Island back again with more personality. From that point, it was settled. I now was a Yoshi fan, thanks to an indirect game that's actually a reskinning of a similar Japanese game (but unlike Pokemon Puzzle League, at least Yoshi de Panepon is an actual Japanese creation). 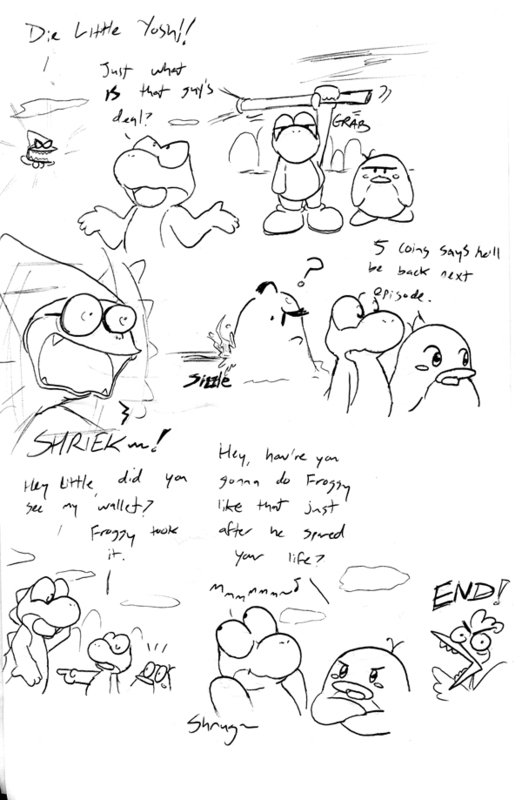 It started with doodles to get the feel of how to draw Yoshi, then mini comics, and then a series, and that series would become known as nothing more than Yoshi's Island. Oh, and for the record, while I now don't mind the original Panel de Pon cast, I'm sorry diehard Panel de Pon enthusiasts but I have to say I enjoy Yoshi and crew of Tetris Attack much moreso, not to mention the game felt more polished. However, NinPuzCo of GCN still has the best overall PdP I've played, best characters/story/aesthetics so far, even though Pokemon PL is more polished mechanically. Furil and co > everyone. 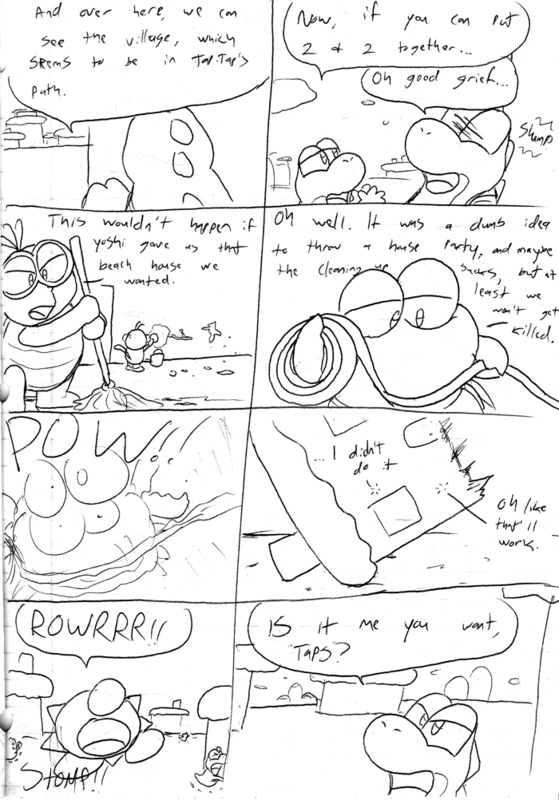 Yoshi's Island is a series based on events that happened sometime after Super Mario World 2, but before Tetris Attack. 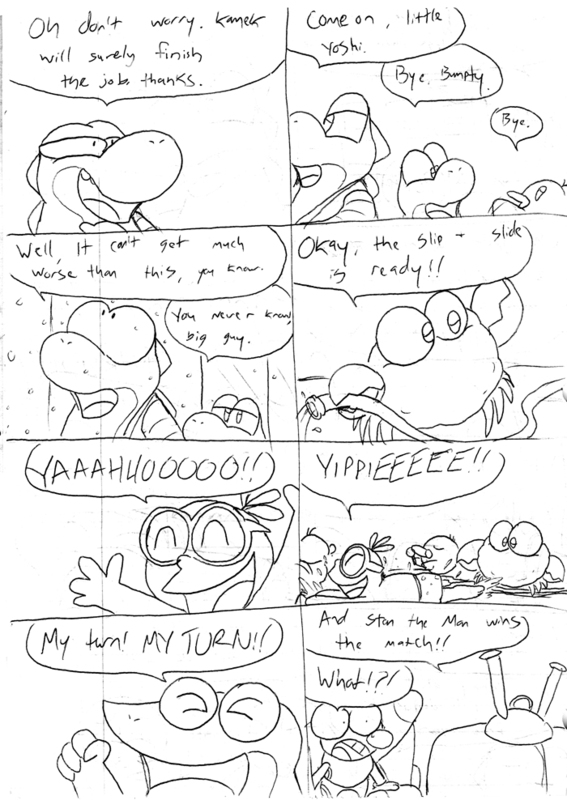 It would be the basis of explaining how Yoshi met the friends that he has in Tetris Attack, even though they may not necessarily all be close friends, some are just acquaintences, more or less. 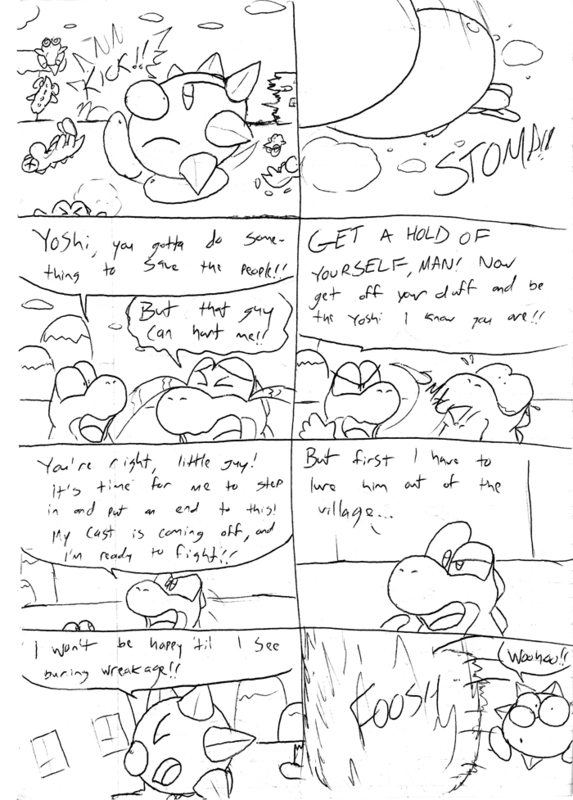 Initially, the good guys started with only Yoshi, Little Yoshi, Bumpty, Dr. Freezegood, and Poochy, but he gained more friends as the series went on. 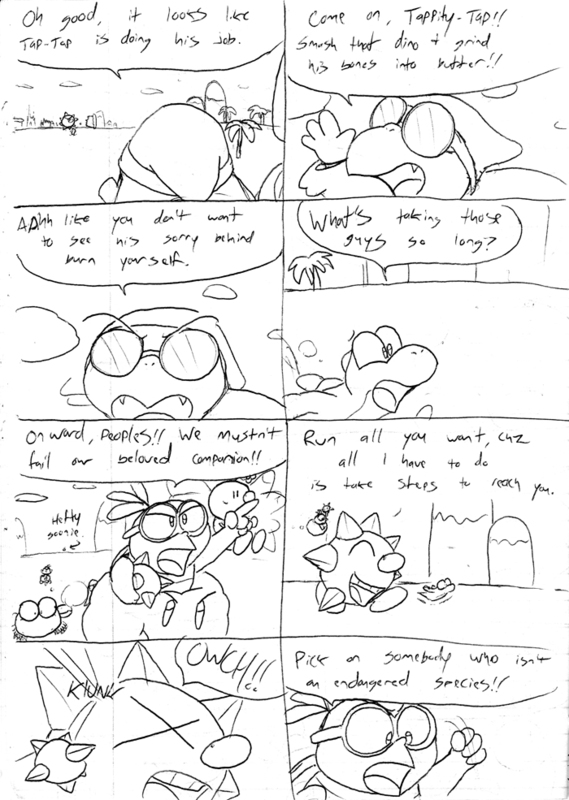 It isn't really explained how these guys banded together, it's just assumed they're friends (and when you think about it, Bumpty and Freezegood aren't really bad guys anyway. They don't do you any harm, just get in your way (or rather, you get in their way)). There is a bit of inconsistancy, though. 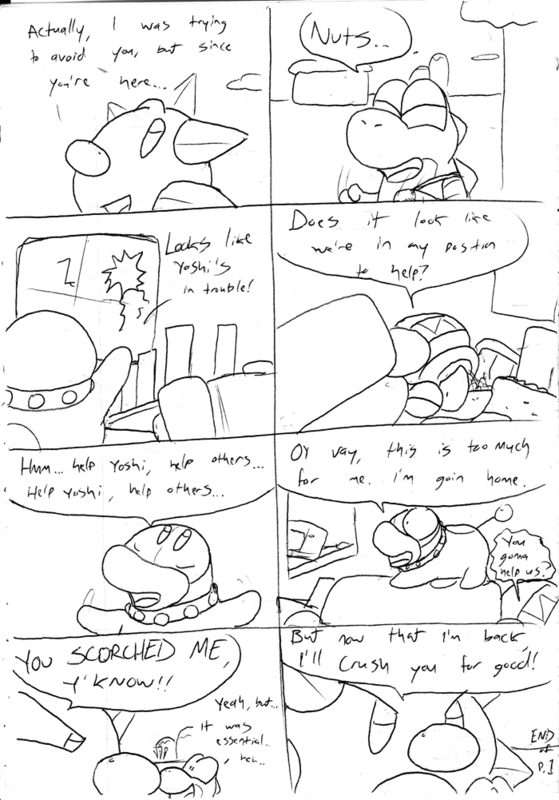 The biggest problem is Bowser, in that he's Baby Bowser here, but in Tetris Attack he's older. 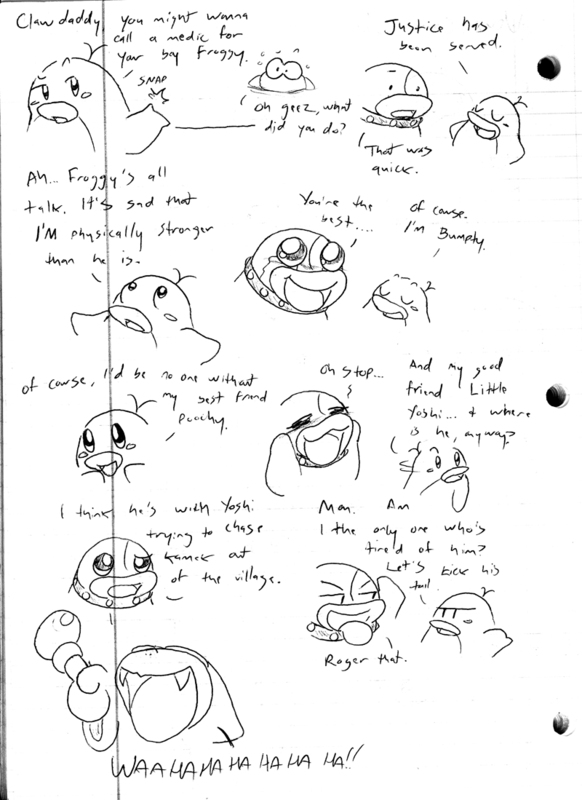 The honest reason why I chose to use his baby form is because it was (and is) easier to draw. 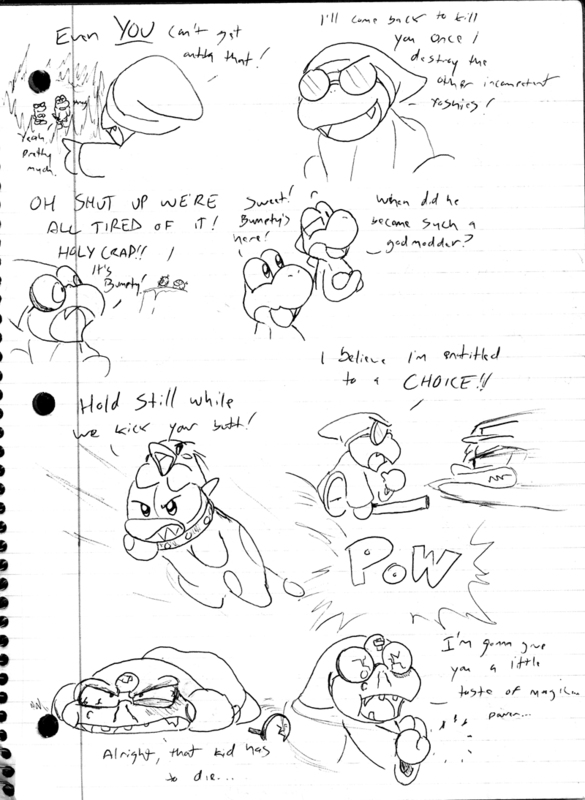 But then that would mean that the Yoshi friends never aged (fair enough, outside of the Poke island series, neither does anyone else), or Tetris Attack had some funky time travelling going on. 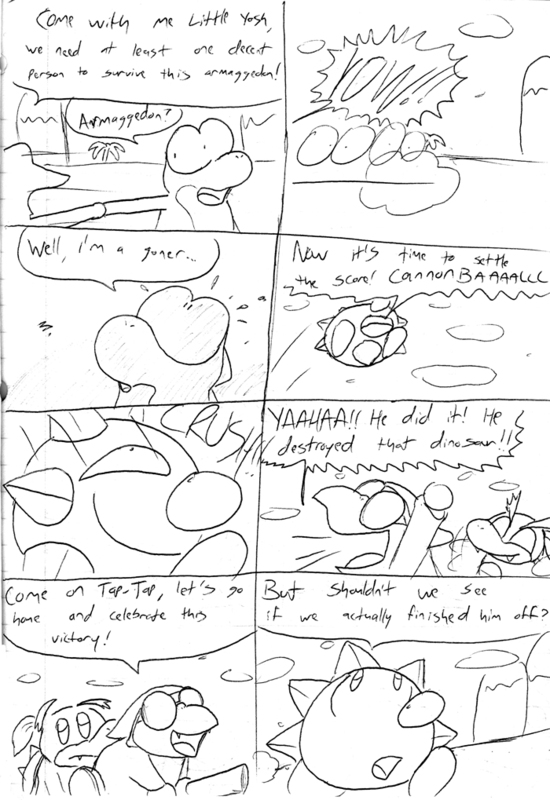 It really doesn't matter, it's a not canon cartoon for pete's sake. Also strangely enough, the time setting is around mid 1980's, as references to TV shows and new gadgets at the time are always thrown in. I'm gonna be honest, I'm a modern sort of guy. 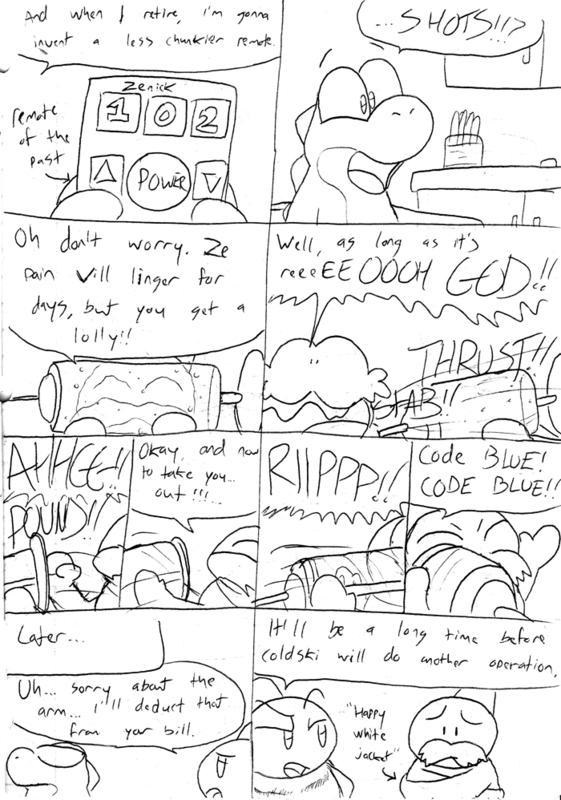 That's why I love EarthBound and can't really force myself to get into anything based on medieval times or whatever. That said, this is the ONLY series I have where there are not many towns, and what towns do exist are really small time not so modernized villages (hey, I was raised on Sonic, a series where the settings are modernized/urbanized, so anything less was boring). 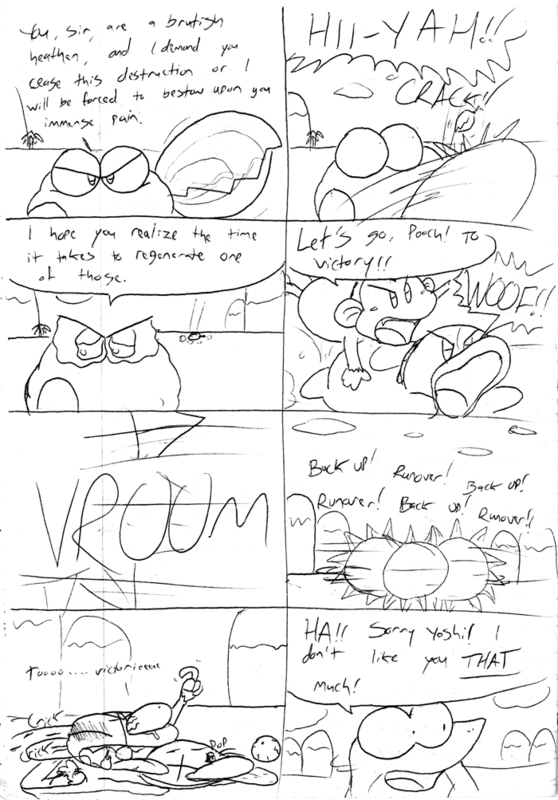 Kirby was based around a smaller suburb, Poke Island et al. 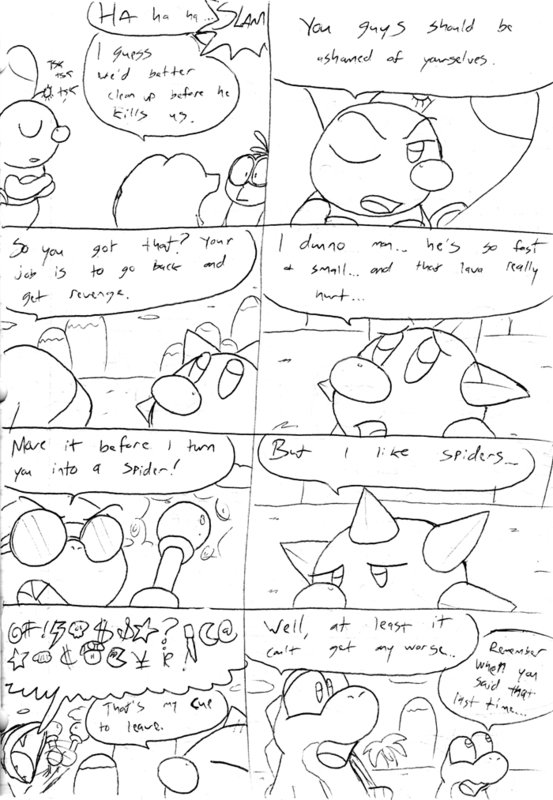 is a mixed bag of everything, AU is the same as Kirby as it's all on Pop Star, so this was truly different. 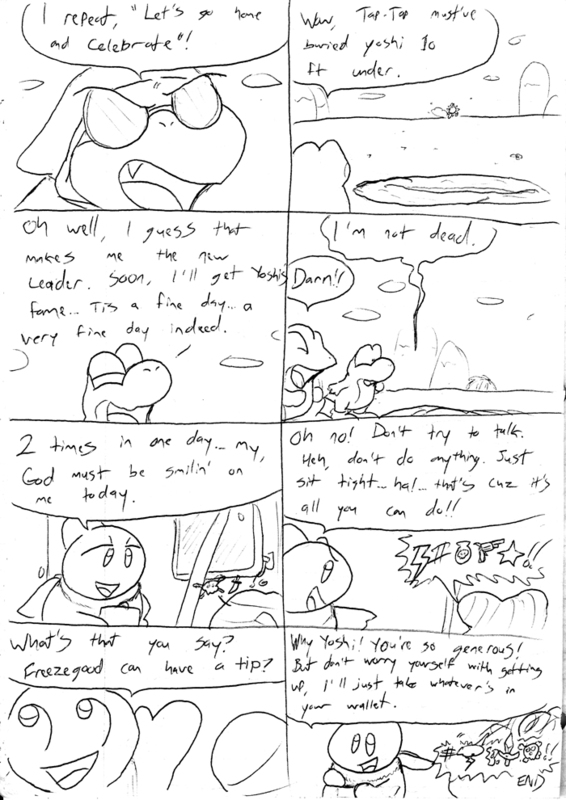 Yoshi's Island is as close to a Mario series anyone's ever gonna get from me. Not that I have anything against Mario, but the characters in Yoshi's Island (and I'm including enemies) had so much personality and charm in their sprites, it's hard not to prefer this over the original Mario World (I like Mario 3 the most for the record, but even then the characters were still dull). 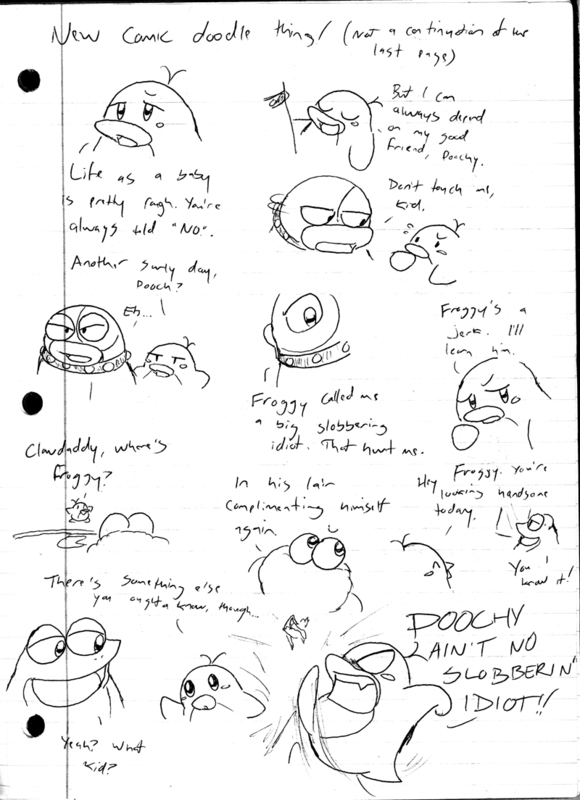 The series introduced a few new concepts to making comics. 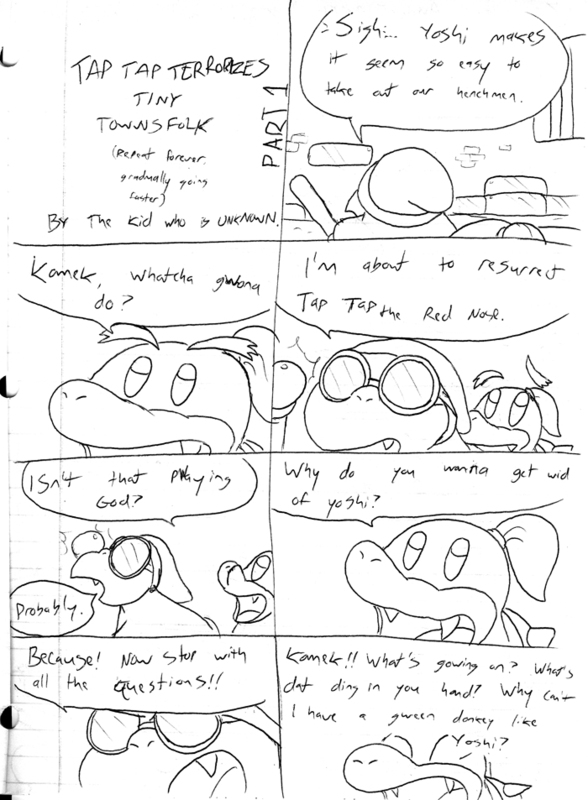 Firstly, I wanted to make this series the first series to be completely in color (any other comics that were in color was because they were specials or I felt like it), but that didn't last very long. 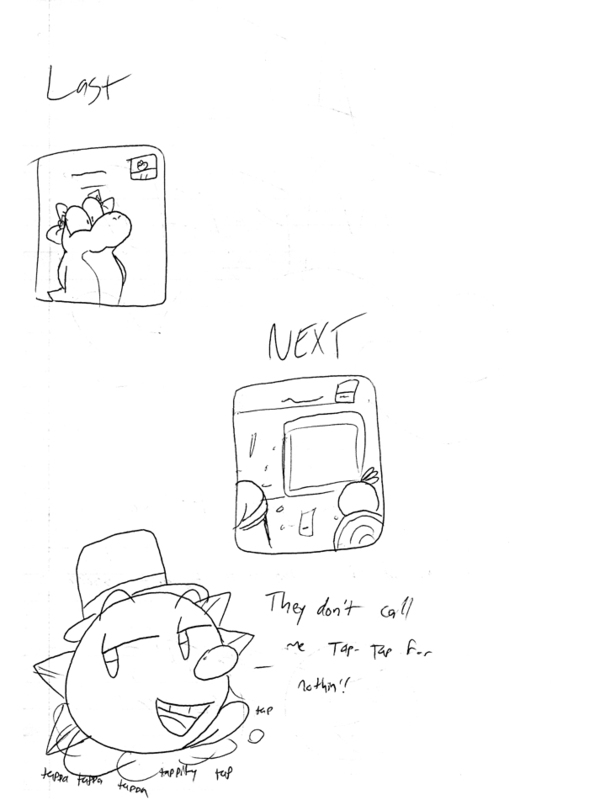 Also, the panel format is very simple. 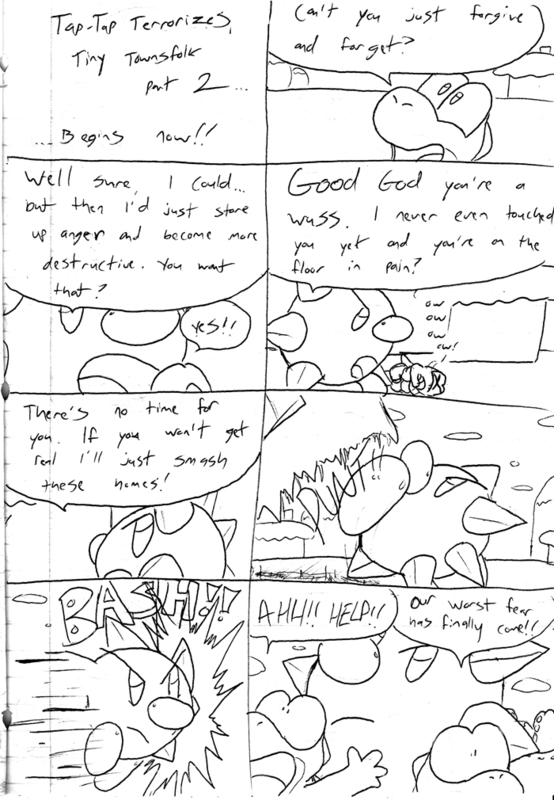 Eight panels a page, which while didn't lend itself to interesting panel variation, at least increased readability and consistancy (something Kirby comic's format didn't really have). Fortunately, following the rule of less is more, it got me into making less filler panels where nothing is really going on. 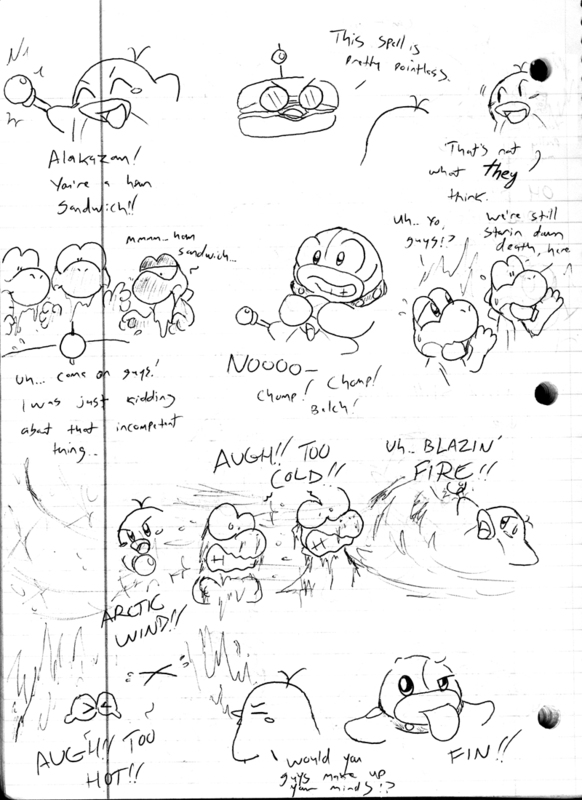 Later on in high school, I would eventually start AU, which didn't help Yoshi's Island, in that AU started to take priority of everything, pushing everything back (YI probably being farthest on the backburner). 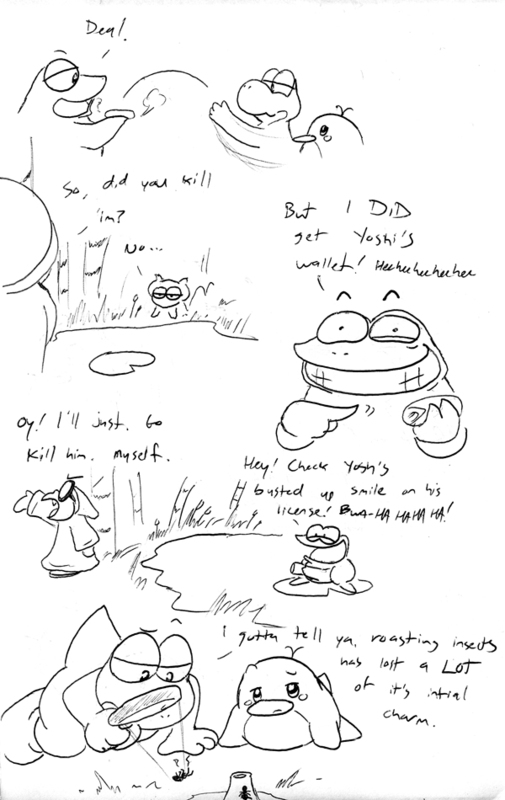 It eventually caused YI to go into hiatus considering I was just much more into the adventures Kirby could be having with Ness, Blade Knight inc, Pokemon, etc as well as the fact that the series was mainly social commentary anyway (allowing for productive venting). 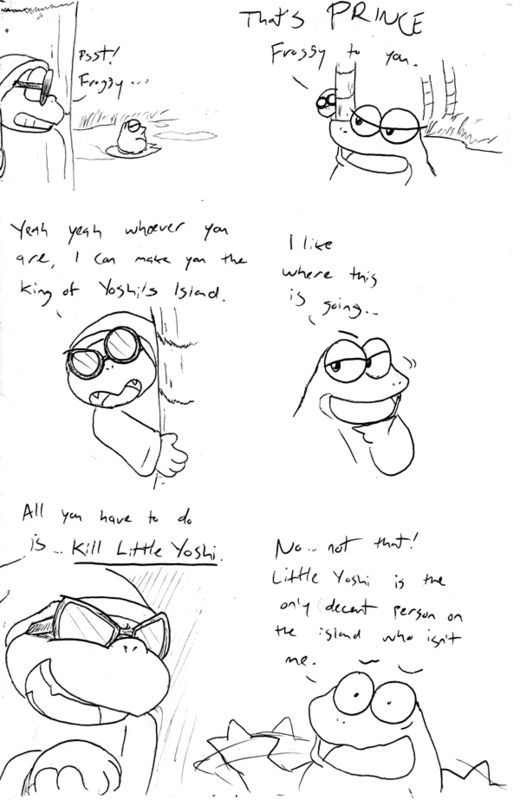 Another thing Yoshi's Island had going against it was the utter lack of anything good in the official Yoshi series. For MANY years it felt like Tetris Attack was the last good Yoshi game (how bloody fast he came crashing down with Yoshi Story, yeesh...), and I can't even say THAT'S an official Yoshi game. 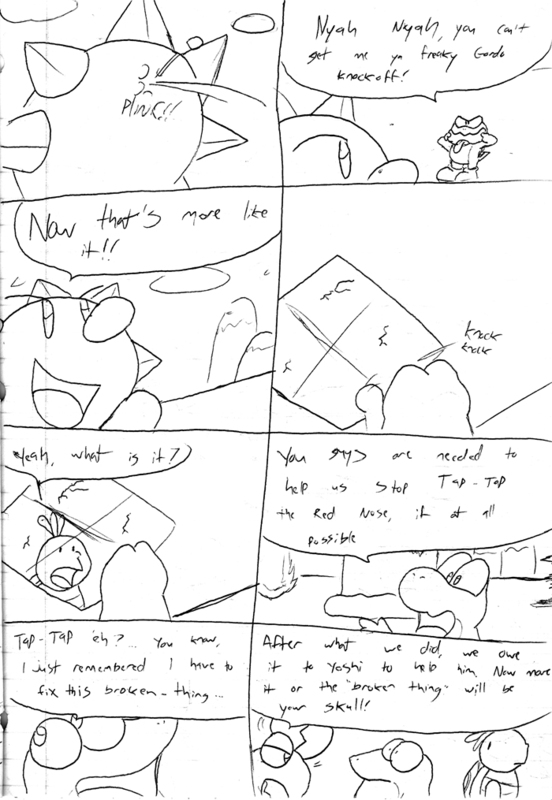 And with senseless games like Touch & Go and Topsy Turvy, the Yoshi series sure as heck wasn't seeing a revival (at least Kirby side games are good, no, they're BETTER than the main platformers). Without good inspirations, I get no motivation outside of nostalgia of old games. ... see, this is why I should just become seriously independant in the fan work field and no longer wait for official companies to give me something to work with. 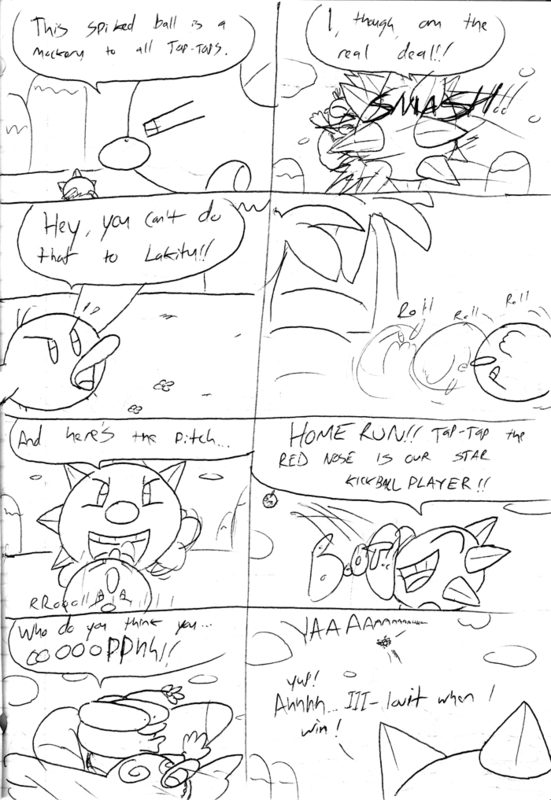 Kirby and Pokemon are the easiest in that area. 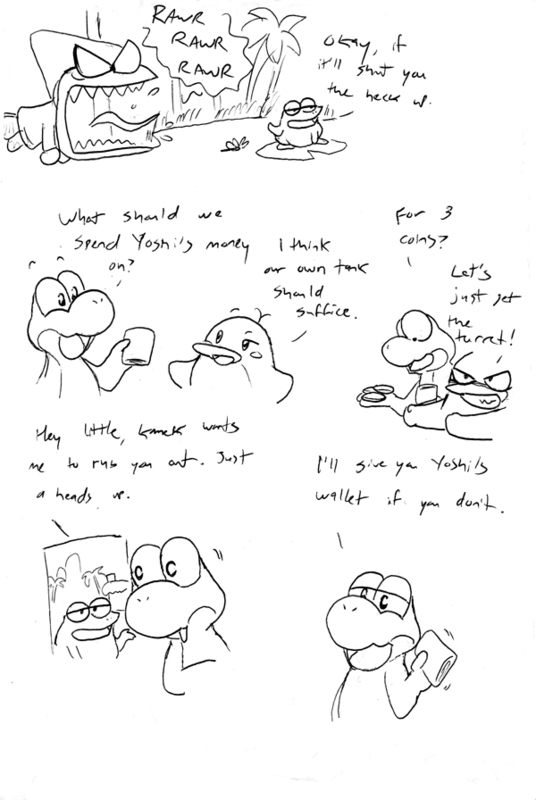 All ranting aside, Nintendo finally got around to making YI DS, but I had been making Yoshi doodle comics within the year or last 2 and planned on doing the section anyway, which may be some proof that I'm starting to force myself out of the "Ofiicial Word Rut". Don't you just love tangents? 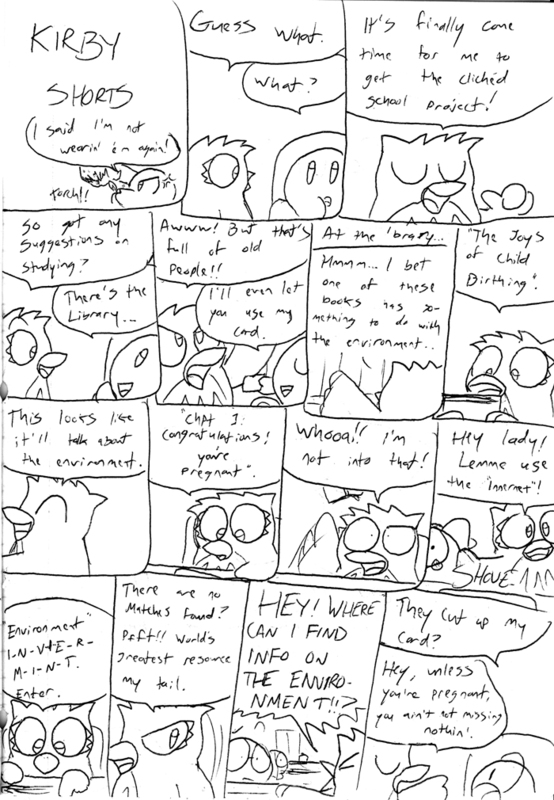 Original text from the old Creative Worlds that goes over characters in this series. 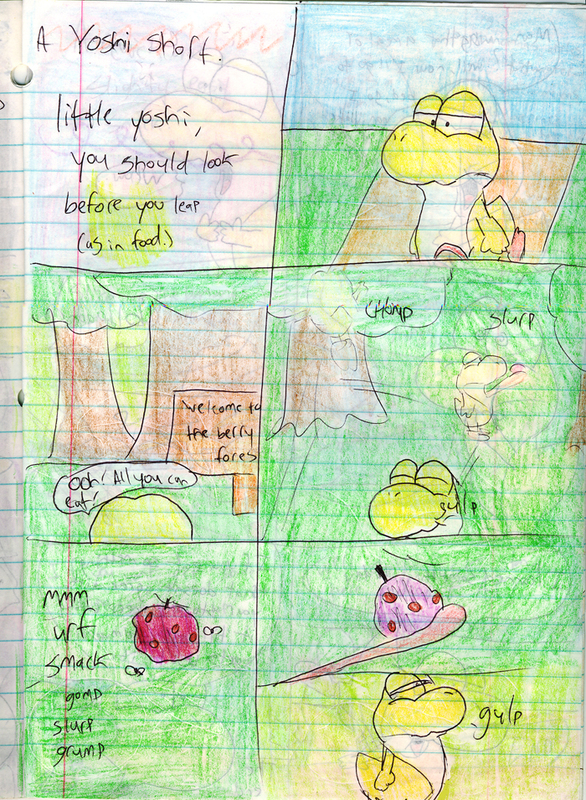 A Yoshi short from issue # 2. 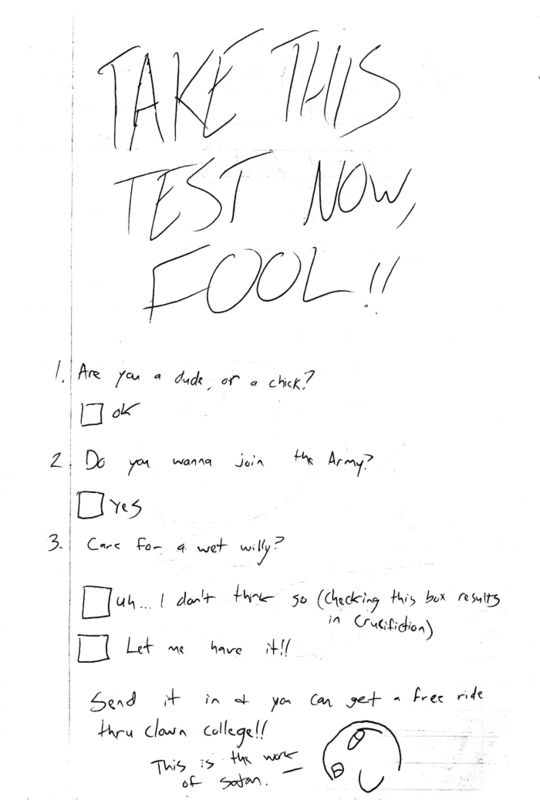 Full scan of issue #25 (the farthest I got, if I recall). Established March 24, 2005. 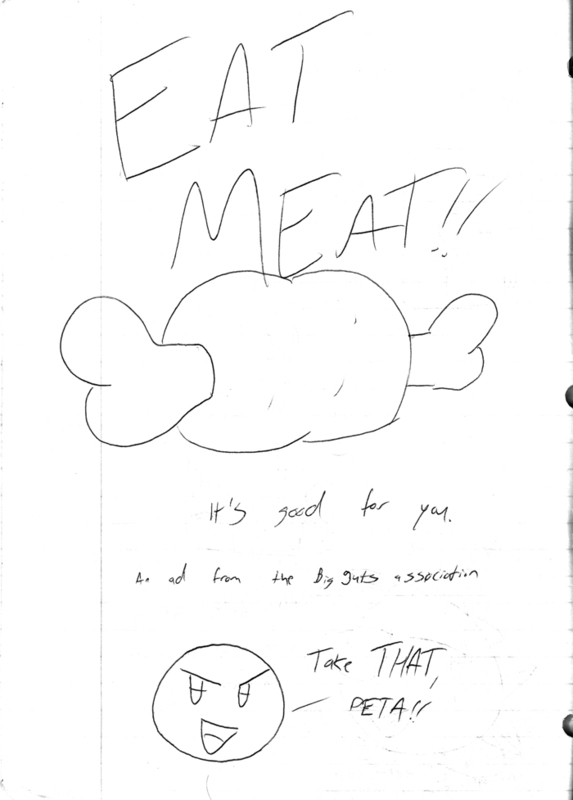 Revised June 27, 2010. Creative Worlds website is the property of Patrick D. The intellectual property of licensed characters and scenarios are copyrighted to the original owners and the associated companies. 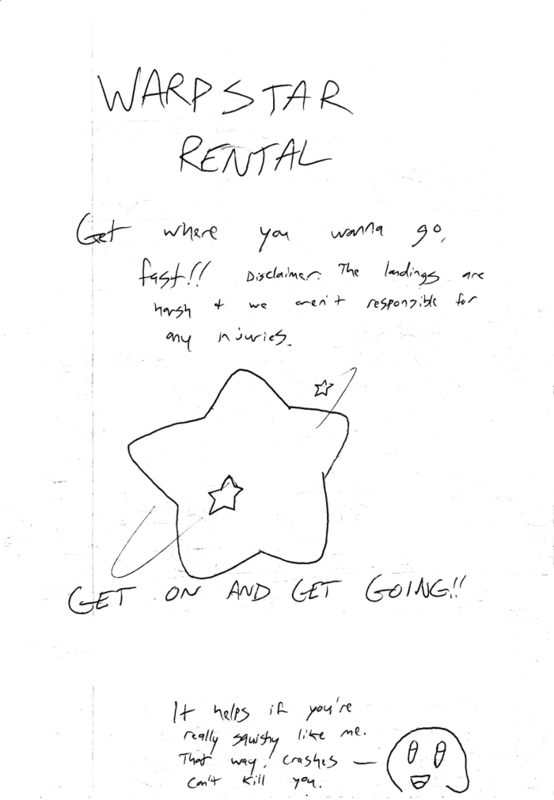 The rights to original content created for the site belongs to Patrick D., unless otherwise noted.